The possibility that the Russians may have been more heavily involved in the recent fighting in Aleppo than they have let on has been provided by a photo which has appeared in the Arab media that is claimed to show Russian special forces soldiers talking to a Syrian soldier on the grounds of the so-called ‘Aleppo artillery base’ shortly after its recapture by the Syrian army. As discussed previously, the recapture of what is (wrongly) called the ‘Aleppo artillery base’ by the Syrian army on 4th September 2016 has led to the closure of the narrow corridor Jihadi fighters punched through the government lines encircling the Jihadi held districts of western Aleppo on 5th August 2016. The Russian special forces soldiers in the photo appear to be fully armed and in full combat gear, as if they had recently taken part in the fighting to recapture the ‘Aleppo military base’. If Russian special forces were involved in the fighting to recapture the base, then that might explain the speed of its recapture after weeks of fighting. The photo should not be taken as definite proof that Russian special forces were involved in the fighting in Aleppo. It cannot be said definitely that the photo was taken inside the base; nor can it be said definitely when it was taken. Even if the photo was taken inside the base after it was recaptured by the Syrian army, the Russian soldiers’ presence in the base does not prove that they were involved in the fighting that led to its recapture on 4th September 2016. 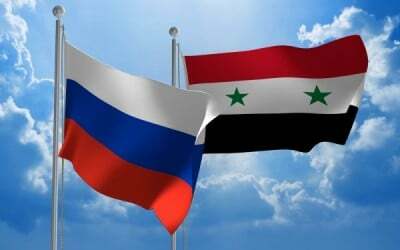 The Russians have consistently denied that their troops are involved in any ground fighting in Syria, and if their special forces troops were involved in the recapture of the ‘Aleppo artillery base’ then on the face of it that would contradict this. However it has now become common international practice to treat special forces soldiers differently from other soldiers, so that denials of a country’s participation in ground fighting apparently does not extend to them. A good example is the recently confirmed presence of British special forces troops in Syria, which has come after months of denials by the British government that British ground troops would be sent to Syria. The Russian military did deploy a small number of Russian elite naval infantry (supposedly and depending upon reports between 80 and 120 men) to Aleppo a few days ago, purportedly to participate in humanitarian operations there. It could be that this deployment was used as cover for the deployment of the special forces troops who have now been photographed in the ‘Aleppo artillery base’, and who may have been involved in its recapture. If Russian special forces were involved in the fighting that led to the recapture of the ‘Aleppo artillery base’ then this would almost certainly have been approved at the highest level at one of the various meetings of Russia’s Security Council which took place in August. The strongest probability is the impromptu meeting which happened on 8th August 2016 – three days after the storming by the Jihadis of the ‘Aleppo artillery base’ – on the eve of Putin’s flight to Baku to meet with the leaders of Azerbaijan and Iran. Whenever the decision was made Putin would of course have been personally involved. Even if it eventually confirmed that Russian special forces troops were involved in the recapture of the ‘Aleppo artillery base’ a sense of proportion is needed. Though these are highly trained elite troops, they are not supermen. If they really did number 80-120 men as reports say, then they obviously could not have captured the whole large territory of the ‘Aleppo artillery base’ in the face of resistance by hundreds and possibly thousands of Jihadi fighters all by themselves. They would have made up only a small proportion of the mainly Syrian troops who recaptured the base. Whilst they might have been involved in some of the actual fighting, they are more likely to have exercised command, control and surveillance functions, assisting the Syrian troops who fought to recapture the base.